The sales to new listings ratio (SNLR) is one of CREA’s methods of determining a buyer’s or seller’s market. When the ratio is above 60, we’re in a seller’s market – this means homeowners can demand more concessions from a buyer. Higher prices, waving inspections (don’t do this), or bidding wars are common in this territory. When the ratio is below 40, it’s a buyer’s market – which means a buyer should demand more concessions. Asking for lower prices, repairs, or furniture aren’t uncommon during a buyer’s market. It doesn’t mean you’ll get what you ask for in either market, but there’s less of a chance someone will scoff. Anything in between those ratios, and you’re in a balanced market. There is a few caveats, the biggest being the speed of change. When there’s a fast changing ratio, the market could be behaving in a way that is not expected. A quick drop in ratio, even if still above 60%, could see homeowners acting more like a buyer’s market. A quick rise in ratio while in seller’s market territory could have the opposite impact. Fast changing ratios are usually a sign that market participants had a sudden change in mind. This sudden change sometimes needs a few months hit the indicators. The markets with the fastest rising SNLR are Windsor-Essex, Montreal, and Ottawa. Windsor-Essex’s ratio rose tot 63.3 in July, up 11.64% from last year. 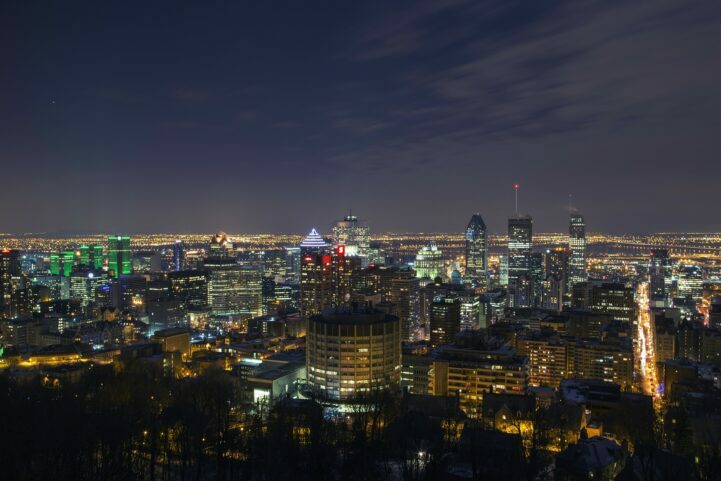 Montreal reached 66.7, up 11.17% from last year. Ottawa reached 67.5, up 9.93% from last year. Despite the fast rise, most of these markets are nowhere near the ratios we saw last year. Yet, at least. The fastest cooling real estate markets are all located in Southern Ontario. Niagara reached 61 in July, down a massive 23.46% from last year. Toronto hit 48.7, down 20.16% from last year. Hamilton’s ratio fell to 61.9, down 17.14% from last year. Worth noting all 3 of these markets were overheated last year, so cooling is expected. The percent change of sales to new listings ratio in Canadian markets with more than 500 sales in May. British Columbia gets a special mention due to all of its major markets cooling at the same time. Victoria’s ratio fell to 65.5 in July, down 16.35% from last year. Vancouver hit 54.4, down 14.06% from last year. Fraser Valley fell to 61, down 11.34% from last year. These three markets were extremely overheated over the past few years. Good for you if you noticed that the cooling must be the result of non-local factors. Higher interest rates and more strict lending criteria at the Big Six banks has put a damper on sales. This has led to more inventory building, pushing the SNLR higher in most markets. Sales declines typically lead to to even more strict lending. Unless we see some form of stimulus, don’t expect the these markets to change course in the near term. More likely because people across Canada think a house based on proximity to a major city means it should be a fraction of that city. One hour from Toronto? That’s gotta be like 50% the price of being in Toronto. 3 hours? That’s worth at least 20%. In NYC, 2 hours away and you’re looking at $100k detached houses. A GTA investor told me he was buying condos in Windsor to flip, and he’s local. When you only have speculators, they’ll try every market because it’s all they know. I dont know anybody who thinks like that. The FBT affected investors. The proof is in the stats. The suggestion that the only people who have real estate mania are Canadians is beyond ridiculous. Speculation is rampant WORLD WIDE. I wish people would stop being afraid to have the conversations that will protect our entire economy. We are in a highly speculative bubble and the FBT has had an affect on housing markets whether you like that or not. Foreign or domestic speculators would be spooked by where they think the money is leaving and where they think it is going. It has nothing to do with proximity to Toronto. I have always lived an hours drive from Toronto, but prices have only doubled in the past three years, and sales have stagnated since last may. And i am still an hours drive to toronto….. Speculation and exhuberance are irrational, they are not caused by rational people calculating their drive to Toronto. It doesnt take very much to affect irrational thoughts and behaviours. Dont believe me, just ask Tesla investors what a little Tweet can do to your investments…. 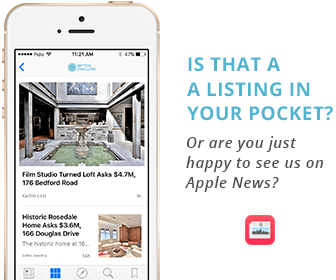 New listings are skewed by people cancelling and relisting in the same month. Not a perfect system. Every month a Realtor will say this, and has no clue what he’s talking about. The reason CREA uses this number is if a property is re-listed as new listings multiple times in a month, it’s a distressed sale. The ratio lowers, and rightfully so. As a number of new listings, it may not be accurate. As sign of a buyers and sellers market, it completely is. Why is Windsor rising? Not many high paying jobs. Not good healthcare , for any specialty treatment you have to travel 200 kms to London Ontario. I see lot of houses are listed many times over and lot of houses have shed 25k to 40k go check on point2home. But when you talk to any realtor they artificially try to prop up the prices by saying that they expect multiple offers etc etc. I wish there was a tool to see the real data to see for what these houses are selling for. Any body has idea if it’s possible to get this data? Try house sigma, you need to sign up with them to access data (speak to one of their realtors and suggest that you are looking to buy in the near future). To be perfectly honest I would only use them if I were buying anything. Our longtime realtor lost her credibility when she was suggesting that a TH for 1.2m is a great investment. The same TH are standing on the market for 850 with hardly any buyers now. Michael, where do you see these townhouses? Mongohouse. Sign up without a contract. Less details but less hassle. House Sigma didn’t take me seriously and ignored my request to be a member. I’m now waiting to be contacted looking for a lead… so I can tare the realtor up. I digress. TREB and OREA are actively fighting against this data being made publicly available. Case is ongoing after courts sided with (fella who’s name I can’t recall who took this on like a decade ago) last December, but then was appeale, of course. I am surprised Housesigma doesn’t just post the asking price and then say the sold for 96% of asking without posting the sale price. That would technically circumvent TREA.